If you have a Panasonic GH1, recording MTS videos in AVCHD format, you may struggle with importing MTS footage into Final Cut Pro on Mac. As far as we know, AVCHD format (MPEG-4/ H.264) is not an ideal editable format for Final Cut products but Apple ProRes is. 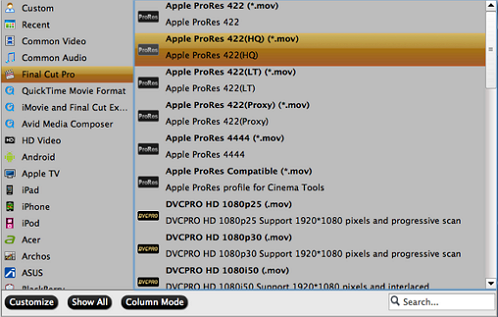 That is to say, for editing MTS content in FCP on Mac, you need to copy AVCHD MTS footage to MOV with ProRes 422 codec. 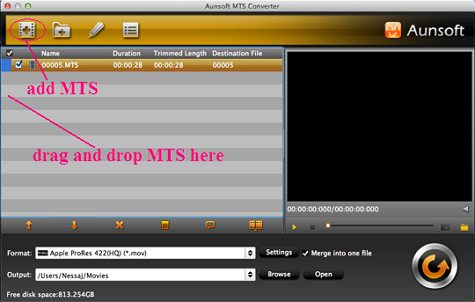 Aunsoft MTS Converter for Mac, a professional 1080P AVCHD MTS conversion tool, offers a simple and fast solution to convert MTS files to ProRes 422 HQ MOV. Now, during Thanksgiving Special offer, Aunsoft Top 5 camcorder video converters are on sale, MTS converter is save up to 15% off. Below is the simple step-by-step guide for camcorder users to copy Panasonic 1080P AVCHD content to ProRes 422 HQ MOV. Launch Aunsoft MTS Converter for Mac, import MTS files to it or drag and drop MTS material into file area directly. Tips: To avoid of the no audio problem during conversion, you need to ensure whether the original AVCHD MTS content has sound in preview before conversion. Click the “Format” option, and choose Final Cut Pro > Apple ProRes 422(HQ) (*.mov) to convert 1080P MTS videos to MOV with Apple ProRes codec for Final Cut Studio. Before 1080P AVCHD content to ProRes HQ MOV conversion, you should set video and audio profile via clicking "setting" icon to keep uncompressed 1080P of source MTS video. Video BitRate is up to 60 frames per second to maintain output ProRes HQ MOV with no loss 1080p 60frames high quality for editing in FCP. 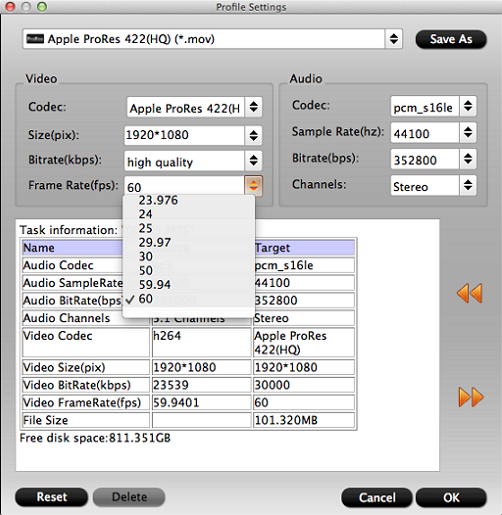 Click the "Convert" icon to convert and transcode AVCHD MTS to ProRes 442 HQ MOV. 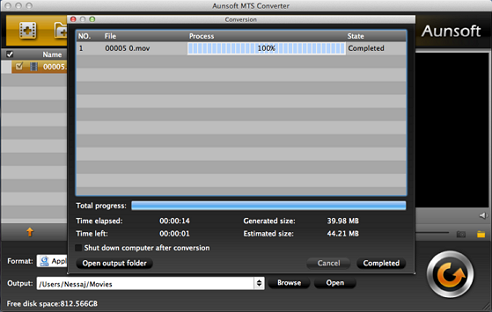 The MTS Converter for Mac will run MTS to MOV conversion processing fast, you can check the progress bar easily.